At Clear Pools, we offer a variety of services from weekly pool cleaning to chemical-only services, and can even help with your spa or hot tub. 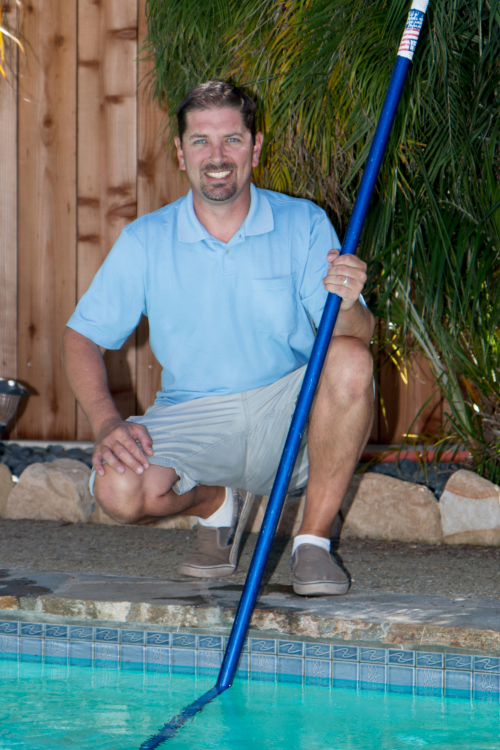 If you’re looking for pool service in Santa Barbara, Clear Pools can help. Ask for anything else you may need! What is included in weekly pool service? What can you expect during a regular weekly pool cleaning visit? We will skim the large debris off the surface of the water, scrub down the water line, brush and vacuum the bottom of the pool as needed and balance the chemicals. The time we spend at your pool will vary depending on the size of the pool, how dirty it is, and if anything needs special attention. Why is professional pool cleaning important? What’s the most important part of maintaining your pool? When it comes to safety, maintaining balanced chemicals in your pool should be top of the list. Chemically imbalanced pools can cause anything from bleached hair to spreading of diseases. For many, this is the most complicated part of maintaining their pools, and the most stressful. We aim to take that stress away and can ensure that your pool is chemically balanced and safe to swim year-round.